The Mystic Woods! What story do you see here? Kuria glanced at the woman perched on the stump in the middle of the clearing. She had a new red kanga tied around her hips. Her green blouse, made of soft silky fabric, clung to her curves. She’d covered her hair, that glorious long dark mess, hidden with a green headscarf. He couldn’t see her face because she was staring at the green grass at her feet. She held a stick, poking at the ground as though searching for answers in the soil nourishing the green blades. Nostalgia clung to her words; brought back memories. She chuckled, poking at the grass faster. Kuria shifted, pressing his back against the rough trunk a tall tree. Hundreds grew around them. He stuck a blade of grass between his teeth and stared up at the waving branches above. 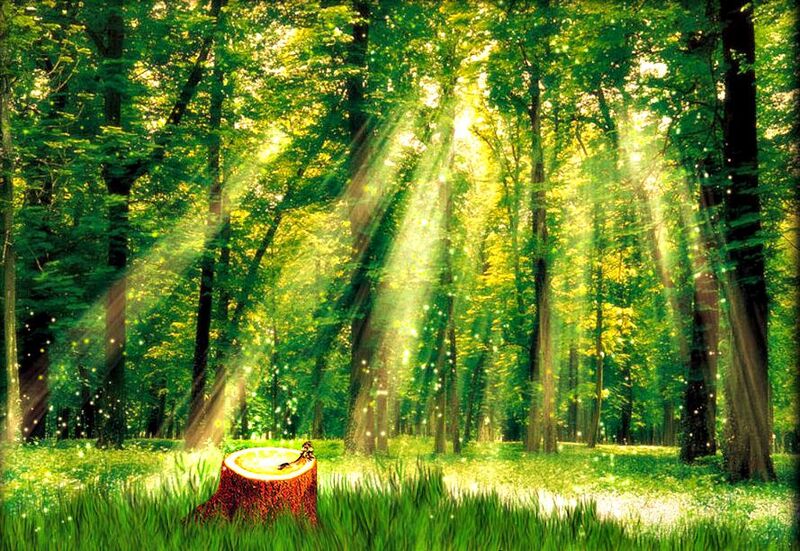 The sun sifted through, rays of light falling on the stump in the middle of the clearing, highlighting Shiro. It looked like a natural spotlight. She paused in her poking to glance at him. Shiro tossed her stick and sat up straight, a frown dancing on her forehead. “Chege paid good money for them,” Shiro said as though that should make sense. The woman was going to drive him insane. She just didn’t see the point. Shiro stood up, her hands on her hips. Kuria fumed, annoyed by her innocent expression. She had no idea how mad she got him. How angry he was that she dared talk with that Chege. Why couldn’t she see how he felt about her? Why didn’t she care? He thought about the avocados he took to her house. Three afternoons ago, he’d climbed the avocado tree behind his mother’s house and spent two solid hours picking each fruit with care. The trick with avocados was not to drop them from the tree. They bruised easy. Bruised avocados turned to rot. Yes, he’d carefully picked each fruit, and hauled two large baskets down the tree. He’d taken one to his mother, the other he’d kept for Shiro. She’d thanked him with a smile. Ah that smile…, he glanced at her face now. That smile was missing. She didn’t grace him with her smile too often, so when she’d smiled at him that day, he’d felt like he had won the lottery. Yesterday, he’d gone to take milk to the dairy and he’d heard the women there talking about Shiro’s avocados. Shiro had sold all the avocados he’d given her. It had hurt to know she hadn’t even tried to eat one. Shiro’s irritation was clear and he pushed off the tree when she started to leave. Kuria looked at the red kanga. “My old one was fading.” Shiro smiled and his heart jumped the beat racing. Shiro’s smile had that effect on him. “What do you think?” Shiro prompted, touching the red kanga. “Will you?” Shiro asked in surprise. “Yeah,” Kuria said thinking his mother wouldn’t notice one basket missing. Shiro laughed and turned to leave. Kuria grinned because that was the first time she’d ever invited him to eat her githeri. She left the clearing in quick strides, glancing back once to wave at him. He stared at the stump where she’d sat, and smiled. Yes, he remembered. He remembered every time Shiro met him in this clearing. Every laugh, every smile, and every argument they’d had. One of these days, Kuria thought, he was going to propose to Shiro right here, and she was going to say yes. 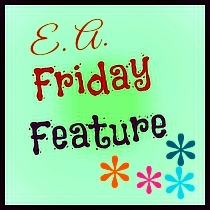 FREE READ – Download the EA Friday Feature August Anthology here. Kuria is in for the long haul. Unrequited love is blossoming here. He’s just not in to her and she doesn’t see it. Make sure you don’t make Kuria commit murder when he morphs into a stalker. Kuria had better think fast with his avocados, he might be friend zoned. For sure…^_^ I love how everyone has their own conclusion on this.